Deadheading. Now that is one scary-sounding word. Calls to mind images of the walking dead in horror stories. Amazingly, this gardening practice with its peculiar name is one that breathes a whole new life to plants. 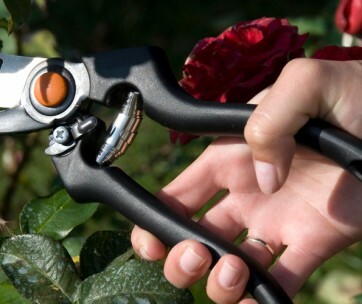 Deadheading is a way to prune your plants usually using pruning shears. Many a gardener have been confronted with the sight of their prized flower beds looking spent and brownish. A bed of browning plants growing haphazardly is not a pretty sight and calls into question the quality of your gardening skills. 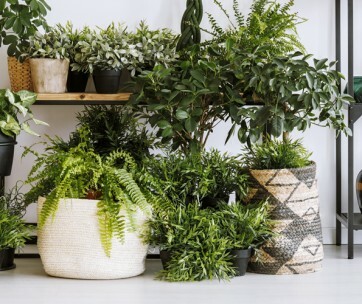 With your plants in such poor shape, it is no wonder your once upon a time relaxation technique of sitting out in the garden appreciating nature after a long day, is now a traumatic experience. We know you are pro-life and don’t have it in you to do away with troubled flowers no matter how browned. However, you might want to consider deadheading if you truly want to salvage your garden while you still can. Read on for five reasons why deadheading is the best way to keep your plants healthy and bursting with life. The sight of a bed of roses in full bloom is a real sight for sore eyes. With Valentine’s Day on every lover’s mind and lips, you can’t have your roses going brown at such a crucial time. You could make a pretty penny off bouquets of fresh roses and save yourself some bucks while at it by cutting some stems to present your lady with. All these grand plans can only work if your rose bed is in good shape. Just like the human species, flowers often produce seeds and bloom as a means to ensure that they do not go extinct. Pretty similar to a plant getting pregnant and having babies. What a neat way to secure the next generation, huh? The thing is, once the seed has been produced and the plant bloomed, the ‘parent’ flower sees no reason to continue producing new seed and decides to stop blooming. This later results in spent flowers soiling your flower bed. Talk about smart plants. Be smarter though and deadhead the old ‘parent’ flower tricking the next generation into producing new seed. This also goes for flowers in plant stands. A full flower bed in full bloom is a much prettier sight than a lean one riddled with gapping spaces. The type of flower bed that would make your garden the eighth wonder of the world requires you put in the work. Deadheading is exactly the kind of work required. However, in this case, it is not the ‘parent’ plants that need nipping. It is actually the new blooms that need streamlining. Nipping off about 6 to 8 inches of new growth especially in springtime leads to the production of new branches growing longer and wider, extending their tentacles so to speak. This method takes out the dominant new bloom giving room for more nutrients and water to get to more parts of the plants; which eventually leads to increased growth. This method is especially effective with chrysanthemums. Patience is key though. You don’t exactly see results right away. When the results do come in, you will have a bed full of flowers blooming with a vengeance and for extended periods too. Much as having a full and lush flower bed is the zenith for any avid gardener, the saying that goes ‘too much of a good thing’ also applies. The possibility of having a bed so full of flowers growing amok, going every which way is very real. Worse still, it is not even a pretty sight. Keep things in check by deadheading. Plants do need guidance to achieve their full potential. Some plants such as aloe vera, garlic chives and bellflowers are very keen on the survival of their species. So keen they self-sow, taking over their allotted space and crowding out other plants. Deadhead these plants by taking out the older blooms giving room for the new ones to thrive and better access nutrients, water and sunlight. For the laid back gardener with lots of space to play with, self-sowing plants really make things easier. If you’ve got other plants to consider though, get to deadheading ASAP and curb those ambitious plants. A neat flower bed filled only with fresh plants in bloom, the kind postcard makers seek out for photo shoots, are what smart gardeners strive to attain. A neat and clean flower bed just does not happen on its own. You need a hands-on approach to them, deadheading all the way to get the desired results. With the passage of time and growth, flowers tend to start browning and looking spent tainting the overall beauty of the bed. Deadheading is a great way to take out the old to make room for the new. Remove the browned dried out flowers to allow the new ones to shine. That also includes those dried out sticks with no flowers on them. It is a painstaking job but well worth it especially when you see your flower bed appearing in gardening magazines and on the “gram’ and Facebook feeds of visitors to your house. 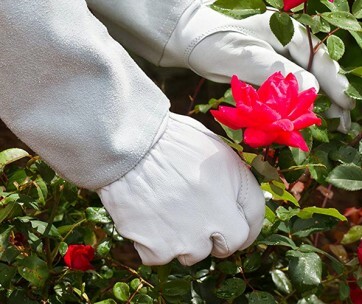 Make sure you wear your gardening gloves, to avoid any scratches. Sometimes those older plants don’t know how to bow out of life gracefully, recognizing that their time is over. They continue to struggle to survive, taking up all the nutrients, sunlight and water the newer blooms need to survive. Unfortunately, they never quite return to their former glory. Help them help themselves by deadheading. Euthanasia is allowed in plants. By removing the dying or outrightly dead plants, the energy needed for growth is redirected into the newer blooms who need it more. They still have the life in them to flower and become stronger. And the best part of this ‘plantarinarian’ aid is that you end of with a very pretty and neat flower bed filled with healthy plants only.